One keen koala and all the animal friends are ready for school! Count along in this beautiful introduction to the fun of school from two of Australias favourite award-winning picture book creators. Margaret Wild was born in South Africa and came to Australia in 1972. She has been a journalist on newspapers and magazines, and she worked as a book editor in children's publishing for sixteen years, responsible for managing and commissioning a large range of titles. She lives in Sydney and now writes fulltime. Margaret has written more than 70 books for children. Her books are published around the world and have won numerous awards. Her books for Allen & Unwin include the two teenage novels, 'Jinx' and 'One Night', and most recently the picture book 'Ruby Roars'. Margaret Wild has written more than seventy books and has been published around the world. Her numerous awards and distinctions include the Children’s Book Council of Australia Picture Book of the Year Award for Jenny Angel, illustrated by Anne Spudvilas; The Very Best of Friends, illustrated by Julie Vivas; and Fox, illustrated by Ron Brooks. 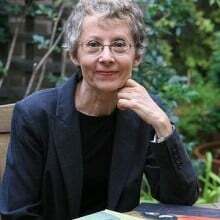 In 2008 she received the Nan Chauncy Award for an outstanding contribution to children’s literature in Australia. A Bit of Company and Going Home, illustrated by Wayne Harris, were published in 2009 by Walker Books Australia as part of the Walker Classic series. Margaret Wild was the winner of the 2011 Lady Cutler Award.